A classic roofline becomes fresh and dramatic thanks to its remarkable cathedral ceiling of glass. Light flows into your home from all sides, warmed by the touch of Northern White Pine beams. 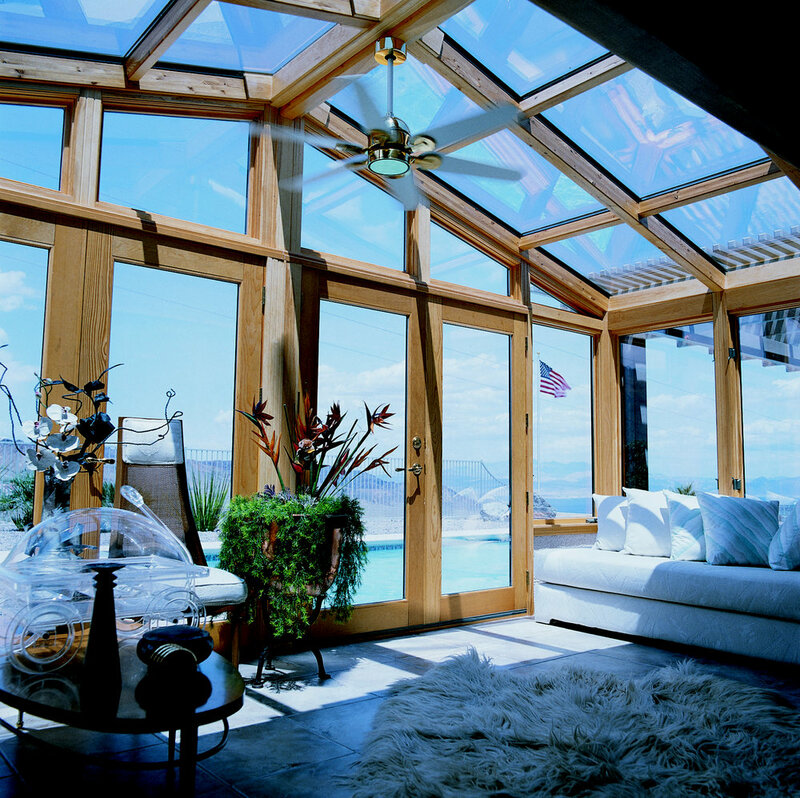 The unique combination of glass, wood, and airy space make this Sun and Stars sunroom an extraordinary addition to your home. Where does lofty, comfortable, extra space meet sensible spending? 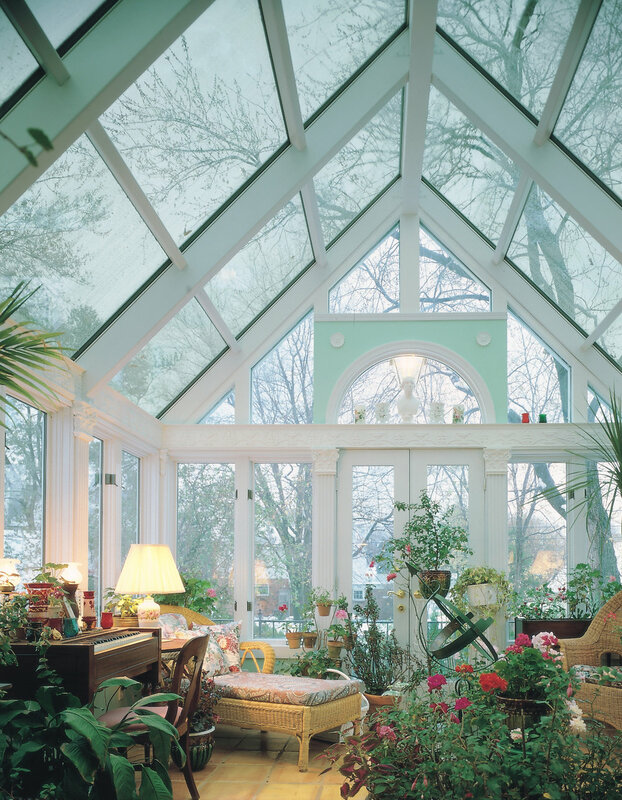 In this stunning solid-roof cathedral sunroom! 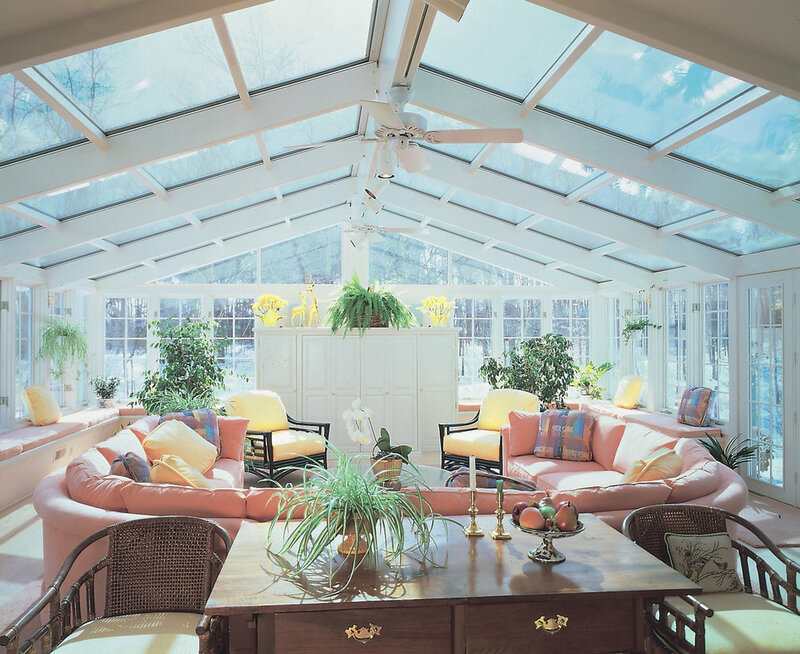 The vaulted glass ceiling and walls of this lovely Sun and Stars sunroom create an extraordinary feeling of cozy openness. A classic roofline becomes fresh and dramatic thanks to its remarkable cathedral ceiling of glass. Light flows into your home from all sides, warmed by the touch of Northern White Pine beams.